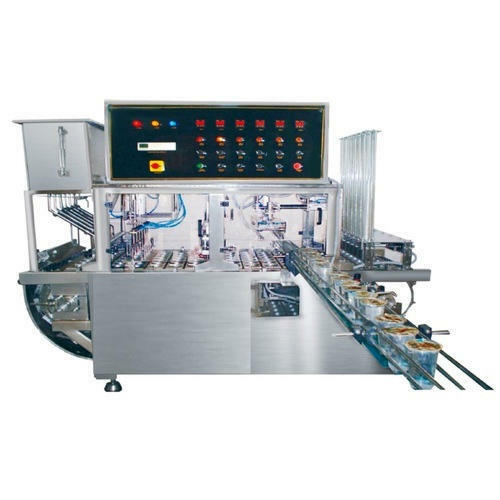 Glass Filling Machine is developed from the quality basic material and sophisticated technology in conformity to meet the set industry standards. This filling machine is used to fill and seal plastic cups automatically. Furthermore, this filling machine is accessible in various specifications that perfectly meet the clients’ specifications. Santosh Engineering Works is an amalgamated creation of technology experts and experienced industry evangelist. Santosh Engineering represents an impulsive drive to assure top- quality services. We are pioneer in providing publishing service with an extraordinary edge to our clients across industry. The unique business portfolio of Santosh Engineering consists of versatile services in content publishing arena, conversion formats, legal processes and finest web and IT services. Our business venture has embarked themselves as a bridge between perfection and customer satisfaction to deliver end to end solutions.